I love this one with Taskbar Slide in and out. Is there any more color theme like this one ? 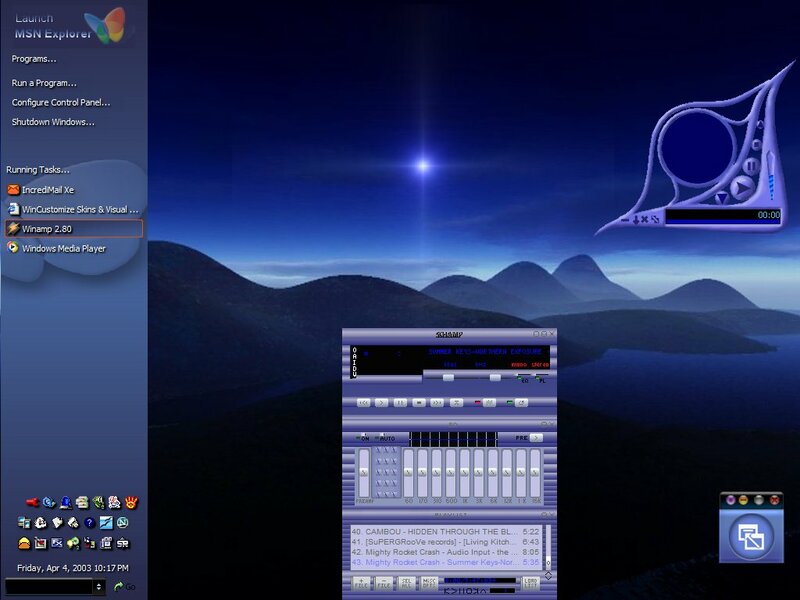 This theme may or may not work in win ver below 2000 or XP. Yeah ... it's dark ... but I like it ... a LOT! this is the best one i have ever had i like the side bar.